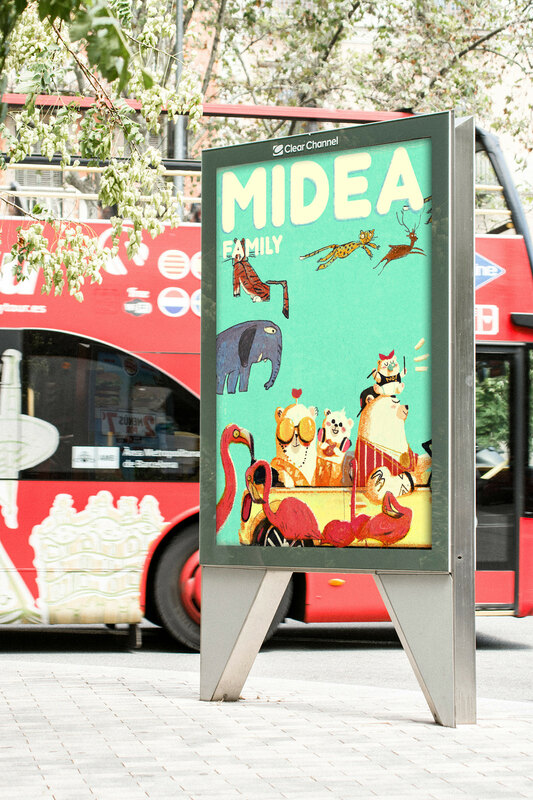 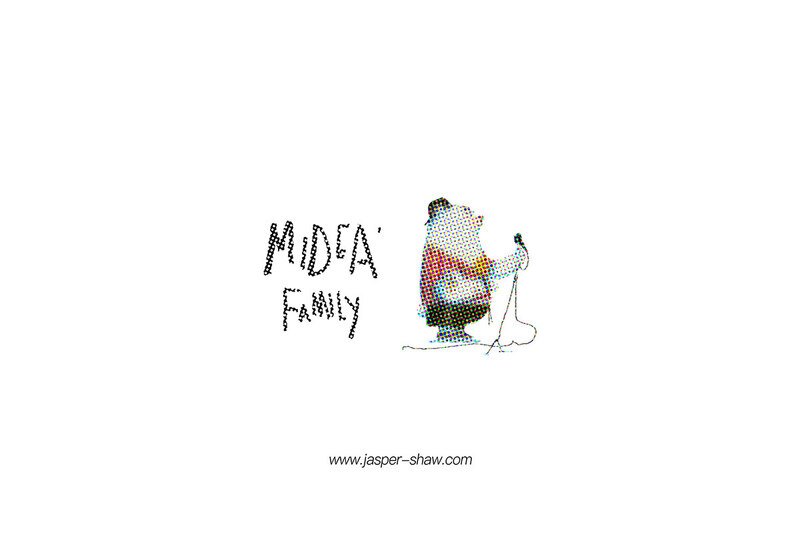 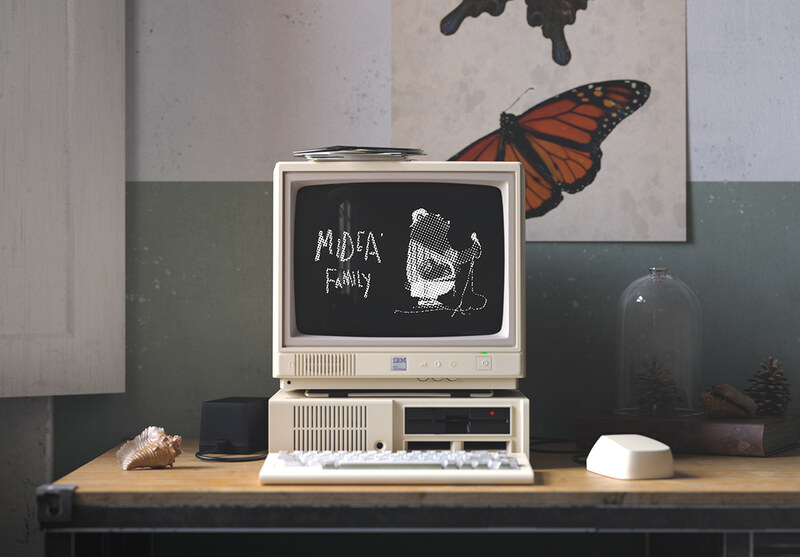 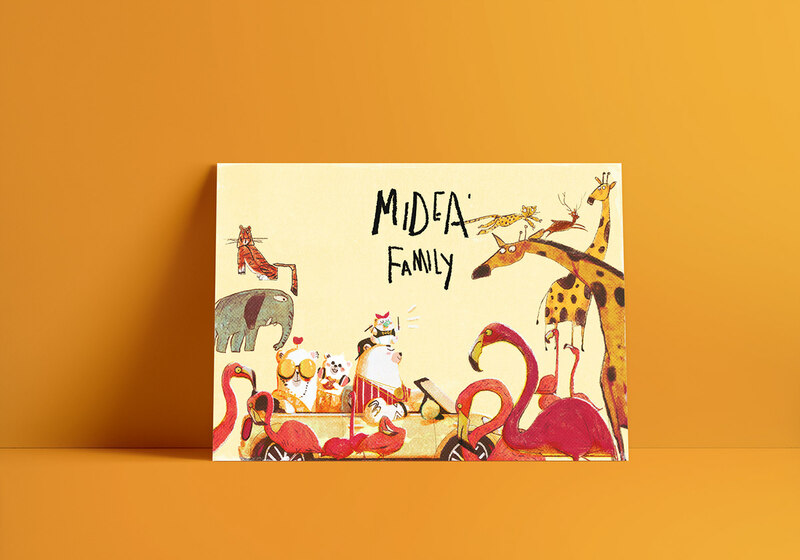 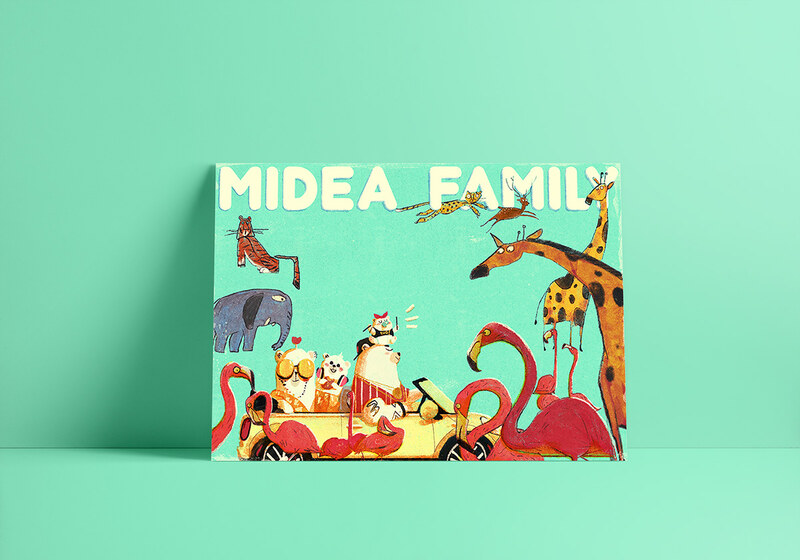 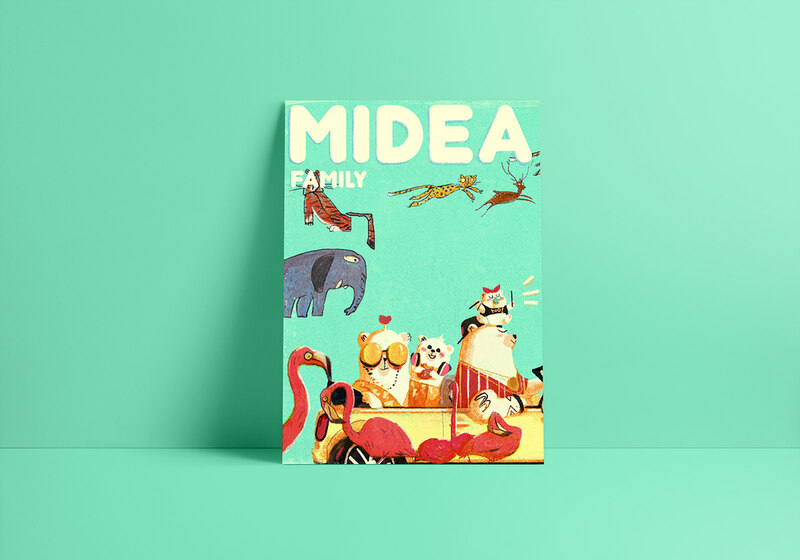 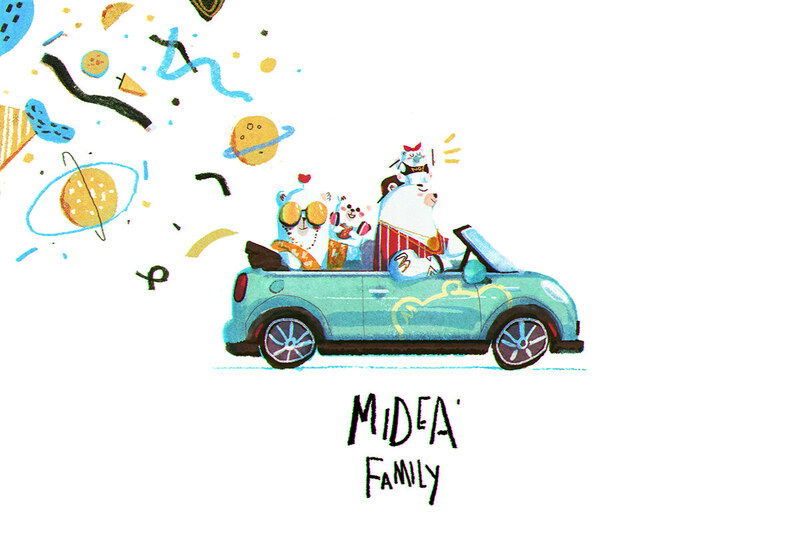 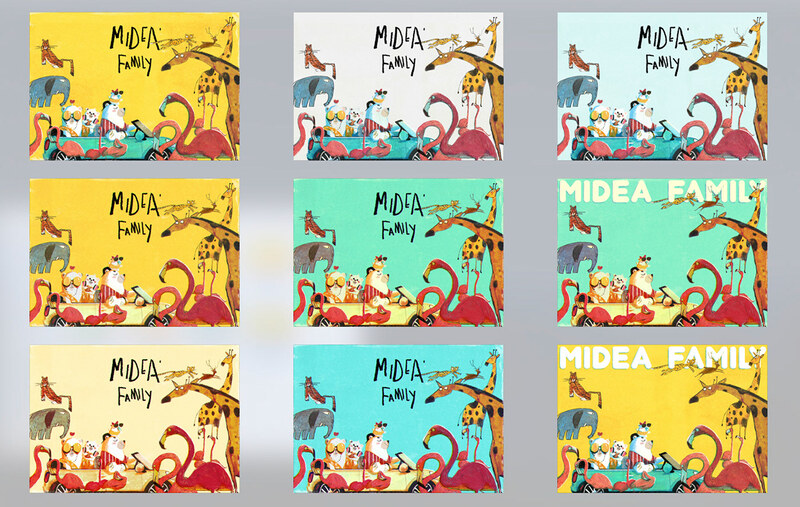 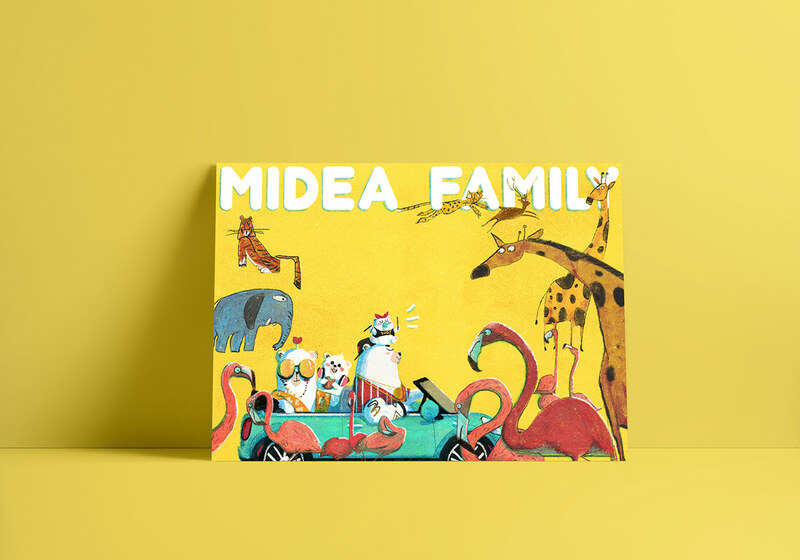 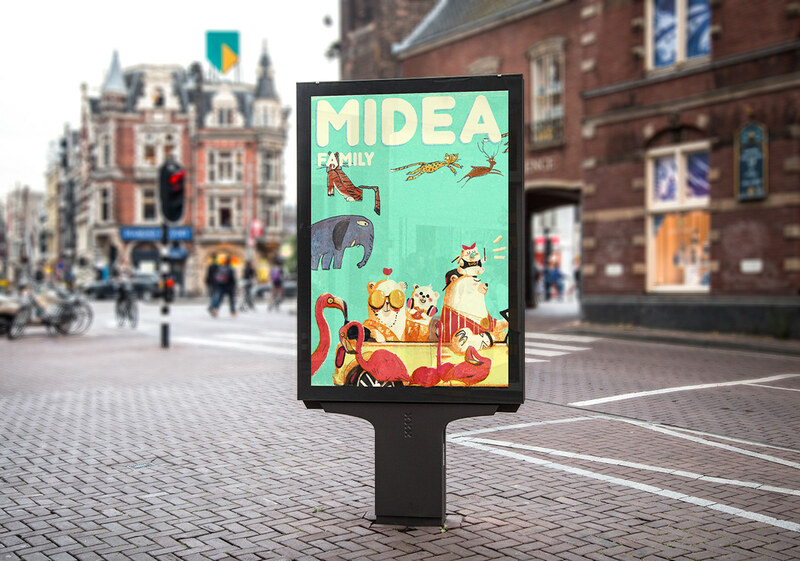 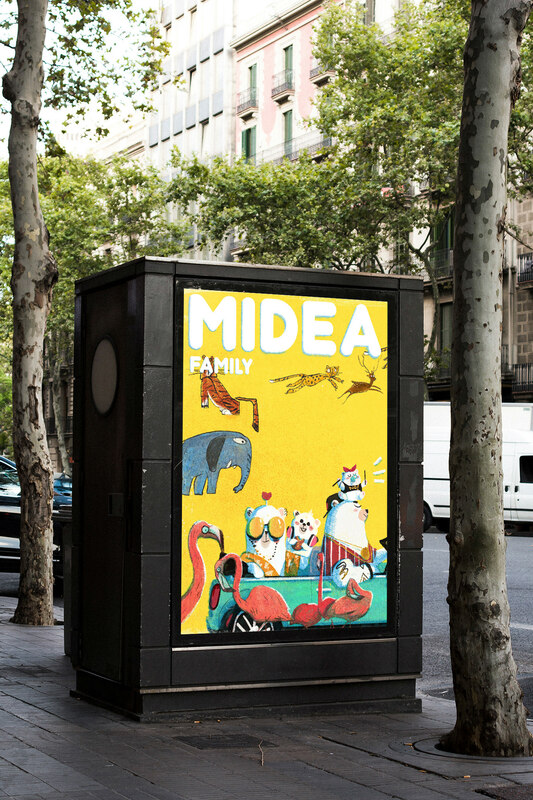 The main visual illustration poster is themed with Midea Family traveling around the world. 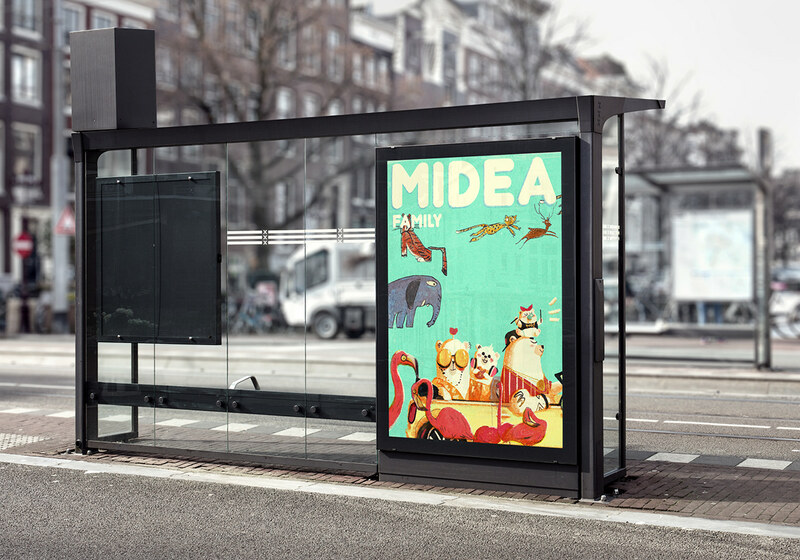 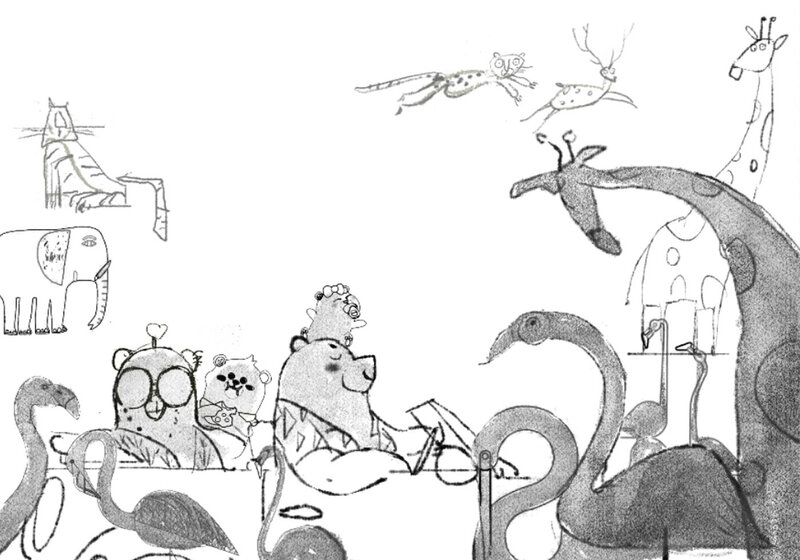 A fashion star returns to nature to contrast with other animals. 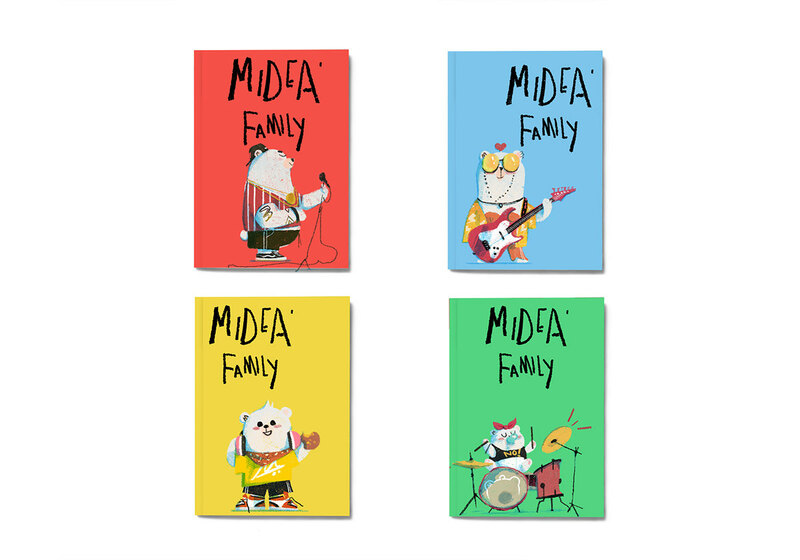 Through the reconstruction of Midea Family image, Mini rapper old driver father xiong hou, bass Coolgirl mother bear heart, sound effect guidance brother xiong qi, drummer xiong xiaomei, show brand vitality and uniqueness; Combined with extended nameplate, poster, coffee cup, summer cup, skateboard, canvas bag, T-shirt, mobile phone shell and other peripheral products.